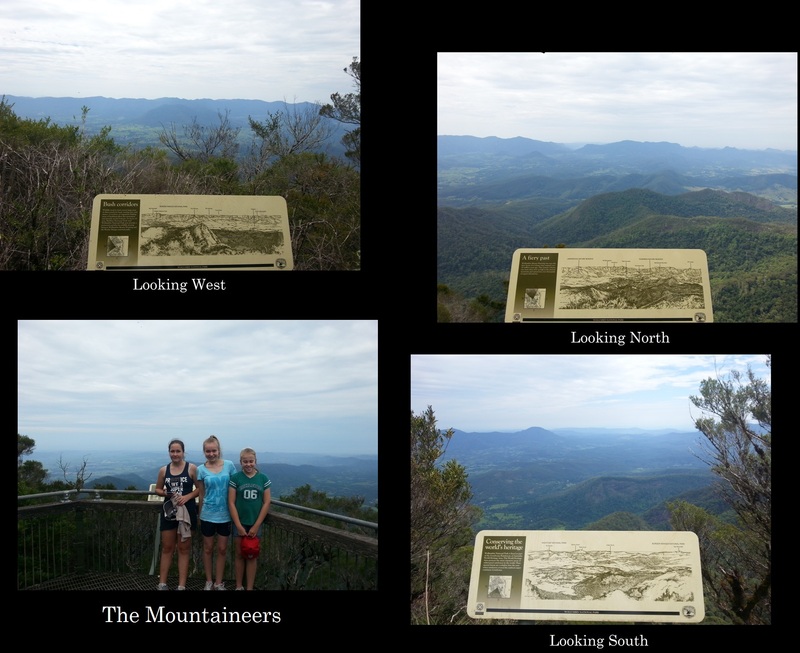 A few weeks ago, I took my oldest daughter and some friends up Mt Warning. Right to the tip shown in this photo. It is a 5 hour return hike, classified as strenuous because of the almost vertical rock scramble for the last few hundred metres. Two years ago I watched a guy who had lost both his hands to a landmine (story for another day) beat me to the top of the scramble, so determination and a good level of fitness is all you really need. The views from the top are spectacular and the summit is the first part of Australia to see the sun as it rises each day. I took a series of photos of my daughter clambering over a tree that had fallen across our path and used them as well as many other images to practice applying foreshortening and movement in my stick figures. I am still not happy that I am getting proportions consistently correct, so will continue practicing in this way until I am comfortable with what I can reliably produce. 🙂 Yeah , at least not for the near future I think. Yeah. Right at the start of the walk they have a sign which says, “WARNING: Claudias are not allowed to proceed beyond this point”. Haha. Hmm … she is 14 and quite self conscious. She was concerned when she saw me drawing using one of her photos as reference. which one of the three is your daughter? She is the one on the left wearing a black top. Also, I so admire your dedication! er….. um…. yes, of course, I knew your daughter was the one on the left…. I love the stick figures and how you are using those phtographs of your daughter to practise your art. Amazing scenery! What a wonderful way to spend time with your daughter! Love this series of drawings! Glad to hear that. It was fun! Will definitely do it again at some stage. Foreshortening-one of the toughest things (in my opinion), to render. Great idea to approach it the way you have! Just saw the click for more photos … and did ! Whoo I’m not a fan of nearly vertical scrambles ….usually goes with loose scree or shiny slick rock .. it looks an amazing hike ! One of those great father and daughter days to look back on Jared. The stick figures = a different way of “seeing”. Great. Lovely shot of the mountain. How amazing and wonderful that you and your daughter climbed to the top. You mention two attributes needed to get to the top. For me, I would be defeated by the fear of falling – a prevalent condition in so many things in life that can hold one back. Well said and a very true observation on the fear of falling! Jared, I’m having trouble navigating your blog posts. It isn’t clear to me. Where is the link to more photos that Poppy is talking about? I like the stick figures. They look proportional to me. That mountain looks WAY tall… Nice shot of it too. Hope you are well. Will pop by your blog soon, I’m sure there are some treats there that I have missed!